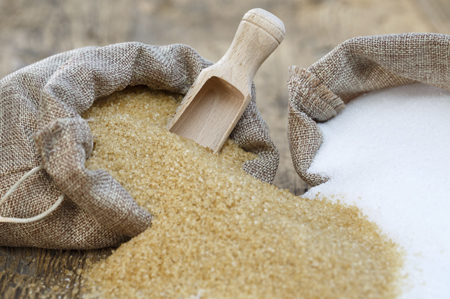 (CNBC) – Raw sugar futures on ICE rose on Tuesday, underpinned by higher oil prices while arabica coffee futures also rose, erasing losses from the previous session when the contract fell to a new low. * May raw sugar settled up 0.11 cent, or 0.9 percent, at 12.59 cents per lb, remaining within its recent 12-to-13-cent range. * Prices were supported by higher oil prices, dealers said, which can encourage cane mills in top grower Brazil to produce ethanol rather than sugar. * A likely delay in the start of Brazil’s center-south cane harvest may catch some New York sugar futures players on the wrong foot, forcing those operators to cover positions, according to analysts and commodity traders. * Dealers continued to watch strong options activity. * May white sugar settled down 90 cents, or 0.3 percent, at $331.60 per tonne. * “London has been the weaker of the two markets, which may not be a good sign,” as it could signal weak sugar demand, said Jack Scoville, vice president at Price Futures Group in Chicago. * May arabica coffee settled up 1.1 cents, or 1.2 percent, at 95.35 cents per lb. * The monthly contract hit a contract low of 92.60 on Monday. * Total open interest in arabica coffee swelled by 2,939 lots to a record-high 343,033 lots on Monday, ICE data show. * “We made new lows yesterday, so specs are adding to their shorts and the roasters are buying,” said one U.S. trader. * Coffee prices have collapsed on excess supplies, with Brazil forecast to have a large 2019-20 crop, despite it being an off year in its biennial production cycle. * May robusta coffee settled up $11, or 0.73 percent, at $1,510 per tonne. * May New York cocoa settled up $21, or nearly 1 percent, at $2,237 per tonne. * The spread between May and July <CCK9-N9> inverted to settle at a $2 premium. * “With the funds short, if they want to roll their positions to July they’re going to have to buy May and sell July to roll out – that could be part of what we’re seeing here,” said one U.S. trader. * Speculators lifted their net short position in cocoa on ICE Futures U.S. to a 1-1/2-year high in the week to March 19, government data showed last week. * May London cocoa settled up 10 pounds, or 0.6 percent, at 1,687 pounds per tonne. * Second-largest producer Ghana harvested 675,000 tonnes of graded and sealed cocoa from its 2018-19 main crop by Feb. 28, up 8 percent year on year.